The coastal tour I took with Miyuki was the highlight of my amazing trip here from the USA. Miyuki's English was great and her knowledge superseded my expectations. She knew of folklore stories, and had answers for everything asked. The tour was beautiful. Mixed with culture and history in both Otaru and the distillery. 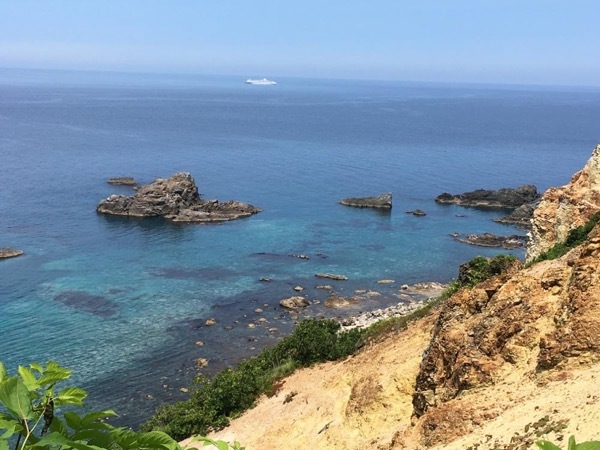 We hiked along the breathtaking Shakotan Peninsula and Camp Kamui. The drive felt shorter than it was because of how much you see along the way. Miyuki and her knowledge is a treasure. TOUR GUIDE RESPONSE: Hello, Lynn san Thank you very much to have me as a guide and also gave me a lot of starts. It was a wonderful day yesterday. I enjoyed every moments being with you. I hope you will find a place where sells ceramic tools. Have fantastic days in Tokyo with your husband. And have a safe journey returning to your home.